Is your company looking to hire an executive? 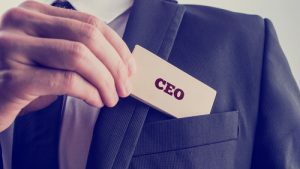 Is your CEO retiring and you are looking to fill the position from within the company? How do you deal with the hiring of this new high-level employee? The usual response is to have the Human Resources Department handle it. But how will you know that HR will protect your company from a nightmare like the one caused by Harvey Weinstein? What most people are surprised to hear, is that Mr. Weinstein would have passed almost every pre-employment background screening! Mr. Weinstein had no reportable criminal convictions, his credit is great (I am guessing here), his driving record is clean (again a supposition) and his personal references give him glowing reviews. Due to limits enacted by each state’s department of labor, or a private company’s’ liability policies, his former employers can only release limited information like his start and end date, his job title and salary. Their hands are effectively tied so that they can give you as little information as possible, to allow you to confirm that someone has worked for their company. We know that (in some states) you can only use criminal convictions that occurred in the past seven years in the decision to hire a candidate. Would a journalist only report convictions for the past seven years if they caught wind that an executive was doing something inappropriate, or even illegal? Of course, they would use any information they find, no matter the time-frame, because it will sell papers. Here at A.S.G. we offer Executive Background Screening to provide companies like yours an effective tool in weeding out those candidates that would have otherwise slipped through the cracks. As licensed private investigators with years of experience, we have honed our skills at digging up information on people through public records, but also through human intelligence. Like we mentioned before, the Human Resources Department from a prior employer isn’t going to give you any of the details you would want, and the personal references aren’t going to say anything derogatory about the candidate. That is why we find other people who are not bound by the HR guidelines, or no longer working for that company to speak with and find out the real story of the candidate’s role at their former employers. When it comes to an executive who will have creative or financial control over your company’s future, you can never be too safe. Feel free to contact us and we would be happy to tailor an Executive Background Investigation for your company, and your candidates.